Vaudeville is one destination that combines multiple facets with a common thread much like the historical form of live theatrics from its namesake. Within the walls of Vaudeville, one can discover a range of varying experiences. 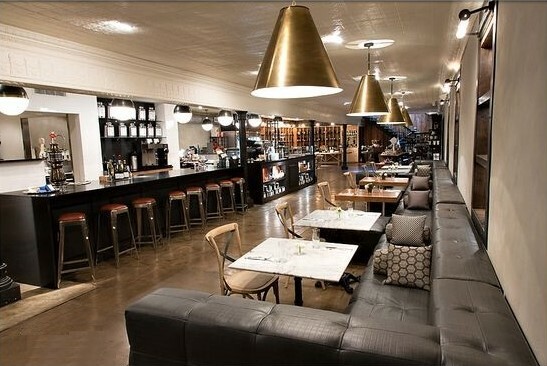 A retail showroom, two restaurants, an art gallery, a gourmet food market & wine cellar, as well as a wine club. These multiple aspects offer guests the possibility of experiencing a new kind of modern luxury in the heart of the Texas Hill Country. In order to share this experience worldwide, vaudeville launched their online store – vaudeville.com which is an extension of the luxurious retail showroom. Guests often remark that stepping into Vaudeville, one feels transported, as if to another time or place. 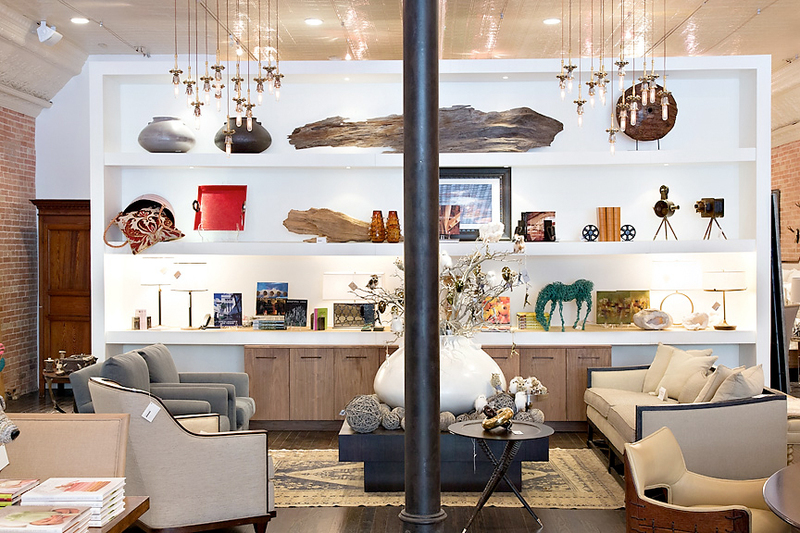 Vaudeville’s showroom floor features a curation of rare and luxurious products, furniture, décor accessories, jewelry and artifacts. Vaudeville’s high-end brands include the likes of Cedes Milano, Perrin Paris, Hedwig Bollhagen, Hering Berlin, Baccarat, Waterford, Non Sans Raison, Tateossian and many more. These international collections evolve with the business and new curated looks are regularly presented to customers. Designers, architects and home staging professionals may submit an application for access to Vaudeville’s design trade program. This program provides desirable benefits that are not found anywhere else. Fresh, Local Ingredients – a Lunch Experience, situated on the bottom floor of the building. The Bistro’s culinary style could be described as new American comfort food. The menu is balanced between bold flavors and health conscious ingredients. Reinvented classics and daily specials which feature seasonal produce sourced from local farmers, ranchers and producers with organic practices. Vaudeville also stocks a wide selection of gourmet sodas, craft beers and quality wines. Light breakfast items are served from 10am - 11am. The Highest Quality Provisions, Sourced From Far and Wide! Located on the basement level next to the Bistro, the deli features cured meats, charcuterie, cheeses, oils, vinegar, caviar and accoutrements – products that Vaudeville believes in so much, they are used in their restaurant kitchen. Guests can also shop selections of premium international foods, pantry items and more. Vaudeville’s cellar is eclectic—showcasing a range of styles, varietals, regions and pricepoints - transporting guests across borders. The inhouse wine steward curates from a wide variety of origins, while highlighting a new generation of local Texas growers and winemakers. Vaudeville’s cellar is a resource for tourists and locals alike. 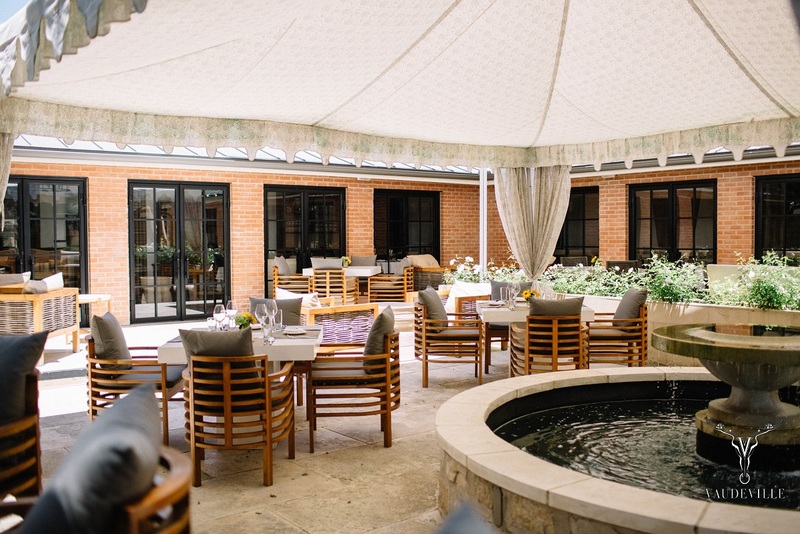 Introducing guests to multicourse tasting menus featuring rich cultural flavors and vibrant local ingredients, the experience is an orchestra of meticulous creativity – the courtyard and decor set the stage for insightful and elegantly plated dishes. Prix fixe and tasting menus change often and may be enjoyed with craft cocktails or wine pairings as recommended by our in-house wine steward. The V Supper Club is also a great location for wedding receptions and other larger events. A quarterly subscription to a Wine Club with year round benefits. Curating wine based on merit and uniqueness with no boundaries, the club draws its quarterly selection from a wide variety of wineries and origins. Membership to the Vaudeville Wine Club provides access to a variety of perks year round including highly coveted allocated wines. Vaudeville hosts a “Wine Club Pickup Party” every quarter for members. Nonmembers are welcome to attend but need to purchase a ticket. The party is held in the courtyard and provides members the chance to meet each other and socialize. During the evening, guests can pick up their quarterly wine selection to take home and sample different wines at the bar. The Gallery at Vaudeville is featured on the second floor of the building. 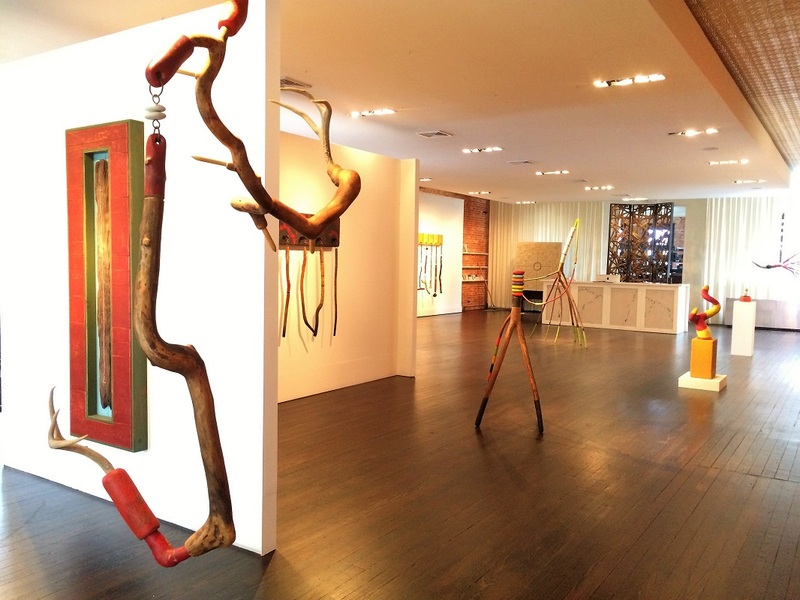 A unique venue for contemporary art, the gallery’s primary goal is to serve and enrich the community by showing and selling contemporary art that is culturally relevant, intellectually engaging, and aesthetically pleasing. Vaudeville is committed to representing a consistent quality and range of Texas based artists who engage in a contemporary cultural dialogue through a focused and mature body of work. The website is home to a global collection of luxury goods, curated for the discerning international buyer. Featured brands include Cedes Milano, Perrin Paris, Tateossian, Jimin Jung, Hering Berlin, Non sans Raison, Goyon Chazaeu, Hedwig Bollhagen, Waterford and many more. Shipping internationally, Vaudeville makes it easy for clients to enjoy access to their favorite high-end brands globally. A trade program especially created for the design trade (architects, interior designers, landscape designers and commercial developers) provides members an opportunity to access the finely curated products with generous discounts. Owners Jordan and Richard share their excitement: “Vaudeville.com allows us to extend our reach significantly, and to share with our guests our access to the world’s most finely crafted and beautiful collections designed for living and entertaining. 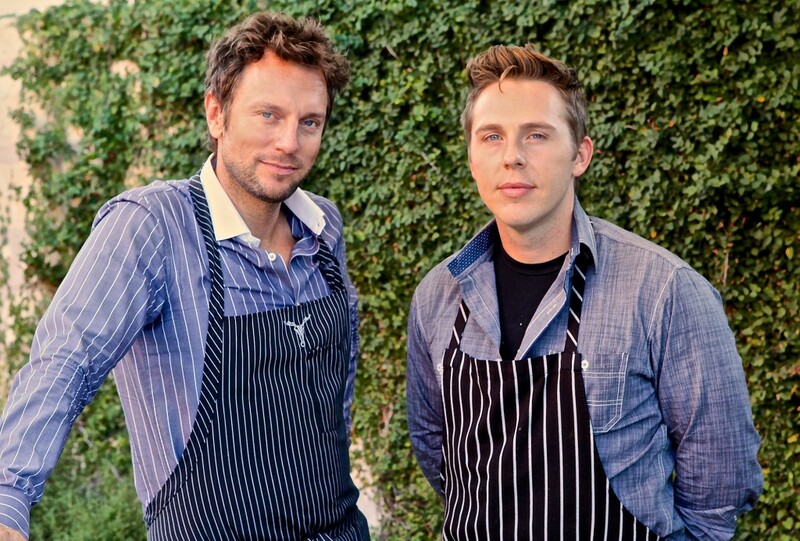 Chef Jordan Muraglia and Artist Richard Boprae met in 2006, their collaboration growing organically as they shared complementary visions and a similar taste for adventure. Together they have lived in and visited countless countries; their multicultural experiences and eagerness to share their discoveries forming the basis of their inspirations and creations. 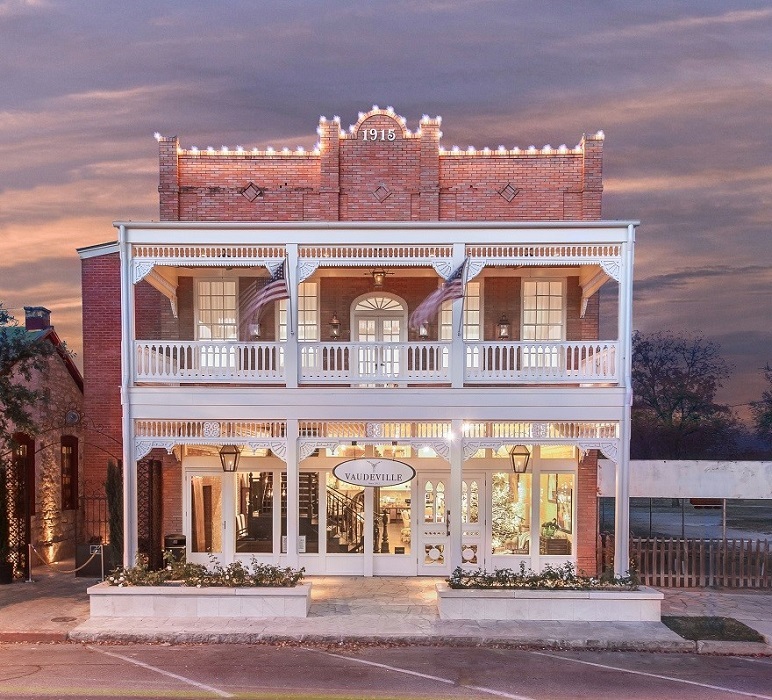 Regular pilgrims to Fredericksburg, Texas the heart of the Texas Hill Country Wine Region Jordan and Richard sensed the town was poised for an urban renewal. In 2011, they discovered and fell in love with a historic building in downtown Fredericksburg, TX, the perfect canvas upon which to create. And Vaudeville was born: a sophisticated urban oasis featuring a luxury retail showroom, art gallery, fine casual Bistro, fine dining Supper Club, and a gourmet food and wine market.